Are you a first time attendee? Which track would you like to attend? 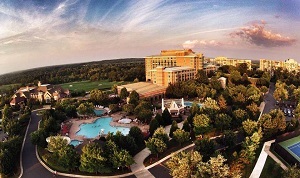 Join us at the Lansdowne Resort & Spa in historic Leesburg, VA. Lansdowne, a AAA Four Diamond award winning resort sprawls 476 acres along the Potomac River. Employees of the IMUA member companies and other industry associates come together to learn about the forces impacting the commercial inland marine industry and the leading technical/coverage issues facing today’s underwriters. The 89th IMUA Annual Meeting features six educational sessions presented by some of the world’s leading experts on inland marine trends, underwriting, loss prevention and claims. This year’s program will be a split session format with the traditional General Session track and the acclaimed Introduction to Commercial Inland Marine parallel track for those relative newcomers to the industry. 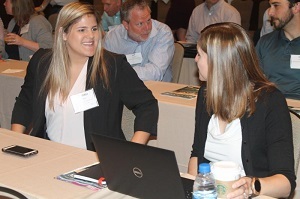 Attendees have an unmatched opportunity to network, make new connections and renew friendships with industry peers and trade show vendors. Registration includes all educational sessions; breakfast and breaks Monday and Tuesday; cocktail reception and buffet dinner Sunday evening; lunch Tuesday and Tuesday evening's banquet - cocktail party and plated dinner; IMUA hospitality suite Sunday, Monday and Tuesday evenings; and a memento of the event. IMUA members can invite a “buddy” or a broker/producer to the meeting for a substantially reduced registration fee of $650 ($700 after May 9, 2019). A "buddy" is considered a first time attendee with minimal industry experience. Questions? Please contact IMUA staff at lcolson@imua.org. Registration includes the Sunday reception and buffet dinner and the Tuesday evening banquet: cocktail party and plated dinner. Slip into the Lansdowne life. A refreshing resort near Washington D.C., but far from city life, the luxury resort's beautiful natural setting in Leesburg, VA along the Potomac River offers a cherished tradition of down-to-earth hospitality that Virginia is famous for. Lansdowne offers world class conference facilities and the renown Spa Minerale. Hotel may be soldout! Overflow hotel is SpringHill Suites Ashburn Dulles North (by Marriott).